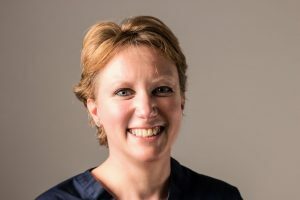 An ‘unconventional’ choice: what do midwives do? Thank you so much for being our special guest, and accepting this invitation for me to interview you for our ‘In conversation with’ series….what an honour! 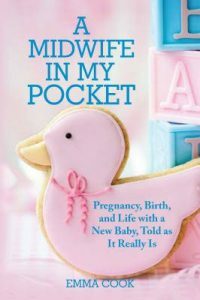 I was incredibly interested and excited to read about the subject you have chosen to study, as many years ago I worked as a consultant midwife, and one of my responsibilities was to support women to have the birth they wanted. I did this by working closely with women, and with midwives and obstetricians. 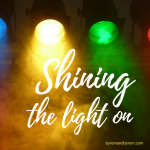 Together we ‘pushed boundaries’ – which wasn’t easy, when ‘fear’ was (and still is) prevalent, and influenced the actions maternity care workers took on a daily basis. I know you are studying for a Ph.D. at the moment, can you tell us about the topic have you chosen and why? 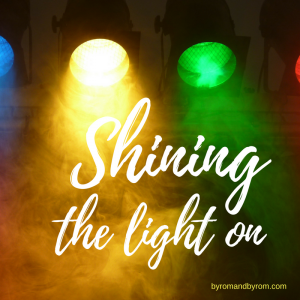 My current study centres on exploring midwives who actively choose to facilitate women’s unconventional birth choices whilst working within the NHS. By unconventional, I mean women’s choices that perhaps are outside of guidelines or where women decline recommended care. Largely, this topic has been born out of my previous Master’s research that explored why women choose to freebirth. The findings in that study demonstrated many unfortunate examples of poor midwifery care, namely around women feeling their choices were restricted and some even experienced coercive and threatening practices such as unnecessary referrals to social services. Listening to the women, whilst also being a practicing midwife with a range of experiences (good and bad), I wanted to turn my research questions around and to actively seek out the midwives who are managing to facilitate true woman-centred choice, as I know they exist! I am particularly interested in the midwives practising this way whilst facing the tensions that all maternity professionals face; busyness, poor staffing, guideline-centric care etc. 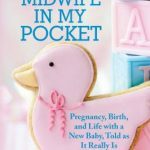 I felt that by exploring the experiences of midwives’ who are managing to facilitate women’s unconventional birth choices, it can be used for other’s to learn from to benefit women’s experience of maternity services. Are you allowed to tell me any of the preliminary findings at all? I can tell you that recruitment was a great success! I had over 80 inquiries, and have recruited 45 midwives to the study. The midwives are from all over the UK, working in a range of roles; community, hospital, specialist roles and they also range from Band 5-Band 8. This is particularly useful going forward as all midwives working in any part of the service will benefit from the findings, as they will be relevant to a wide scope of practice. 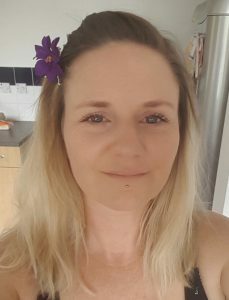 The midwives were invited to write an account and/or be interviewed so that together, we could explore practice stories of caring and facilitating women’s unconventional birth choices. This was to ascertain what the midwives do, how they do and also why they practise in that way. 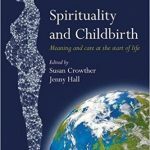 The birth choices women made were hugely varied such as; declining inductions, actively pursuing home birth or access to birth centres whilst with medical or obstetric conditions or declining certain observations during labour. 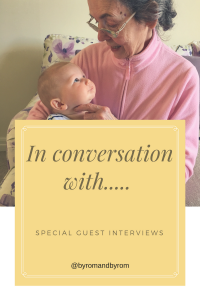 Consistently, throughout the interviews was the importance of relationship building between the midwives and women, where open, honest conversations were central to the care planning and caregiving. It was interesting to note that some midwives worked in continuity models of care and others did not which is also useful as it helps us learn how to practice woman-centred care even when continuity is not available. As you can imagine, the scope of the findings will facilitate a wide range of knowledge generation to learn about complex midwifery practice. But for me, what has been so exciting and inspiring is hearing the commitment of the midwives’ to woman-centred care even in very unusual situations, something I think we can agree will help us move forward on the Human Rights in Childbirth agenda. That is all I can say for now, as data collection is still ongoing! What are your personal thoughts about women choosing ‘unconventional’ births? My personal thoughts about women making ‘unconventional’ birth decisions are that arguably many of the decisions shouldn’t be deemed ‘unconventional’ in the first place! If choice is a true choice, then it is reasonable to consider that a number of women will decline our suggestions or recommendations. Evidence suggests that women are sometimes steered into compliance which I feel is unacceptable, I firmly believe and am committed to women making their own autonomous decisions. 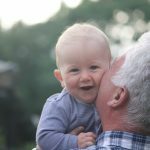 Unfortunately, I feel a side effect of increased maternity surveillance, fear of litigation and the overuse of guidelines means that women are increasingly categorised into simplistic notions of high or low risk, which are not always helpful for either women or maternity professionals. By women pushing our ever narrowing boundaries in maternity care, they are teaching as valuable lessons in birth physiology and birth psychology. What a tricky question! Well, I feel that my work is only just beginning and there will be many unanswered questions following this particular study which means continuing my research path. I am passionate about exploring ways we can learn from our colleagues to create virtuous cycles of improved midwifery practice and woman-centred care. I hope to establish some future collaborations with other midwives and researchers to drive this work and that of others forward. I endeavor to maintain clinical practice as I love working with women and their families, I just hope there are enough hours in a day! Do you have any suggestions for related reading material or video links/websites? I also have to mention the fabulous Birthrights, a particular source of inspiration. And finally……If you had the power to change 3 things in maternity services, what would they be? I would employ more staff to reduce the relentless workloads midwives face, that way they will be able to provide appropriate, timely and compassionate care to ALL women, and not be on the brink of burn out. I would introduce a no blame compensation scheme immediately, the fear of litigation has caused many unintended negative consequences. I would want midwives to have their rota’s at least three months in advance, midwives need and deserve to have a work-life balance, manage childcare and other family commitments. Valuing and looking after midwives is an essential component to improving women’s birthing experiences. Well Claire, I loved reading about the inspirational and courageous midwifery practice, and I feel sure there’ll be a great response to your very important study. Your findings will be particularly important as we move from statutory supervision of midwives, to the new Professional Midwifery Advocate role, as I believe ALL midwives will need encouragement and support to be true advocates for women, and to facilitate the choices they make, safely. We’ll be waiting with baited breathe!